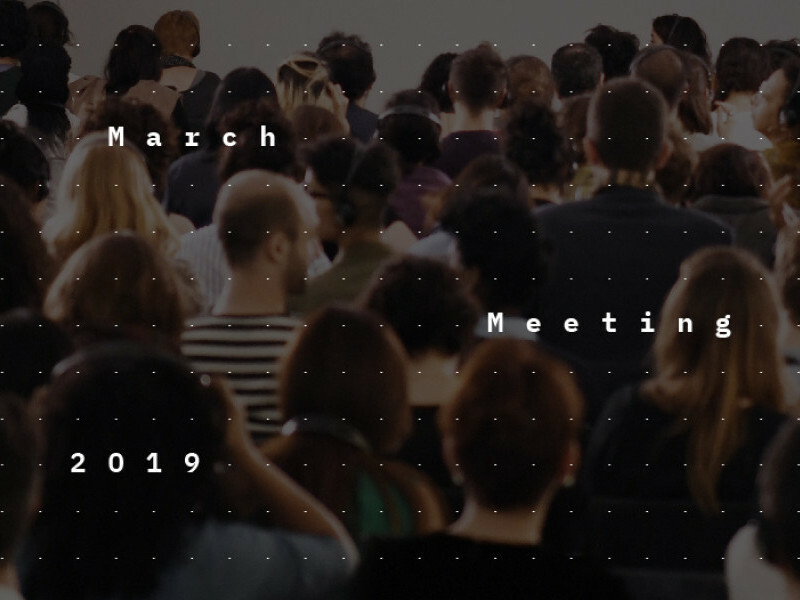 March Meeting 2019: Look for Me All Around You. March Meeting 2019: Look for Me All Around You presents performances, films, talks and landscapes spanning the United Arab Emirates, from the Gulf of Oman in the east to the Arabian Gulf in the west. Taking place across two emirates, Sharjah and Umm Al Quwain, and two cities, Kalba and Sharjah City, the programme is a journey that both retraces and anticipates diasporic movements, speculative flows and extractive uses of human and natural resources scattered across the Atlantic and Indian Oceans, thereby placing models of modernity under scrutiny. The programme evolves from contemporary forms of public address and modes of embodiment that resist solidification and codification, reification and canonisation, to trembling gestures and passing presences, elusive sounds, flickering lights and interrupted motions that ultimately unfold into idea-forms of history and futurity. The programme begins near the Kalba mangroves, where migrations are retraced through manifold movements. It then moves northwest to the site of a fallen plane in Umm Al Quwain to ponder whether flights of utopia may take off into the future. Back in Sharjah City, idea-forms and motions contribute to and confront the daily rhythms of the sun—its risings, settings and high points—shaped by social habits and religious practices. As notions of universality in vogue in museological representations of power in the region are historicised, artistic potentialities are expressed as prefigurative forms of fugitive freedom. The in-situ performances are interspersed with a speakers series co-organised with Diego del Valle Ríos of Terremoto that responds to and expands upon the works on view and the ideas shaping them. Structured as a series of fast-paced, short interventions, Imminent movement addresses issues of migration, citizenship and elemental forces; Evocation of inheritance turns to the mutual influence of blackness as a framework for analytical discourse and performance as a theory of the body; and To pay and repair? ponders the future of museology against the critique of universality, the call for the restitution of artefacts and the development of conscience with regard to the sustainability of artistic infrastructures.